Kayak Huasteca » About KAYAK HUASTECA! 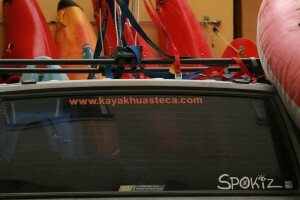 Kayak Huasteca began five years ago. Our purpose is to explore and promote the sport of kayaking here in the Huasteca region of Mexico. We are located in the heart of the Sierra Madre Orientals. Our rivers contain some of the best waterfalls in the country. Ciudad Valles is hot in the summer and cool in the winter. The paddling season is from November to March. Come on down and join us for some amazing whitewater and great adventures.